The Agoura Hills Recreation and Event Center is a 21,000 sq. ft. multi-purpose facility located at 29900 Ladyface Court. It opened its doors in January 2015. The center includes a rentable 3,500 sq ft event center, kitchen, beautiful patio area with outstanding views and more. The Center hosts a wide variety of activities throughout the year and can be rented for private functions like weddings and meetings. The facility has dedicated space for senior programs as well as a teen center, "The Garage." Lastly, there is quite a neat little interpretative play area next to the facility with a Santa Monica Mountains Recreation Area theme, including a Rattlesnake Seating Wall, Mountain Lion Climber, Bobcat Climber and Hawk Track Ride. More information at www.ci.agoura-hills.ca.us/government/departments/community-services-parks-recreation/new-home-for-the-agoura-hills-recreation-center or call 818.597.7361. Bell Arts Factory at 432 N. Ventura Avenue, Studio 101, Ventura was created in October 2004 with the decision to transform an historic 20,000 square foot mattress factory on Ventura Avenue into a vibrant, mixed-use community arts center. When we opened officially in April 2006, over 20 artists were at work in their studios, and we began engaging 70 children per week, ages 6 to 12, in the multicultural Bell Arts Factory After-School and Saturday Youth Arts Program. Artists, poets, crafters, dance and arts instructors, as well as City and community groups, are all making creative and active use of the 2,000 square foot Janet Addison Community Room for programs, meetings, performances and exhibitions. There are 27 Artist Studios at our facility that are open to the public on First Fridays of each month. Artists can be seen working or displaying their art on days when there are special events taking place in the Community Room and other locations on our premises. 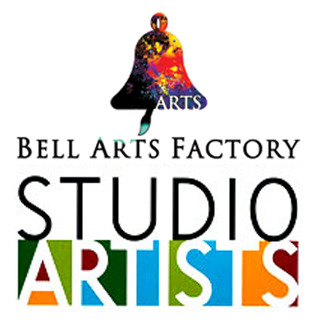 The Bell Arts Factory Youth Arts Program invites children from 6 to 13 to come and participate in exciting art classes every Tuesday, Thursday and Saturday. The Tool Room Gallery exhibits the works of talented local and renowned visiting artists and offers a venue for the unique and avant garde. More information at bellartsfactory.org or 805.643.1960. The Ojai Recreation Department provides many activities to residents of the Ojai Valley. Programs and activities include: youth day camps, youth and adult activity classes, youth and adult volleyball, softball, flag football, basketball, soccer, tennis; teen fitness center and boxing program, a downtown skateboard park, a comprehensive gymnastics program, summer aquatics programs, lifeguard training class, sports tournament throughout the year, youth excursions, horse shows and more. For more information and the latest recreation class brochure, visit www.ojairec.com or call 805.646.1872. Ventura Improv Company has performed at 34 North Palm Street locations for 27 years, since 1994. The group announced in December 2016 that it will not be renewing its lease here in mid-January 2017 but will continue to perform and teach at other spaces in the area, including the Bell Arts Factory and Namba. In addition to live improv on Fri/Sat nights, VIC offers improv and acting workshops for all ages. More information at www.venturaimprov.com or call 805.643.5701. Check THIS LIST of links to senior centers and recreation programs around Ventura County.